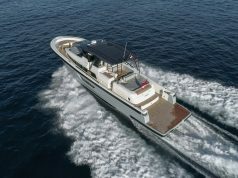 Bénéteau introduces the U.S. to their new generation of coastal cruising boats, the Antares range. 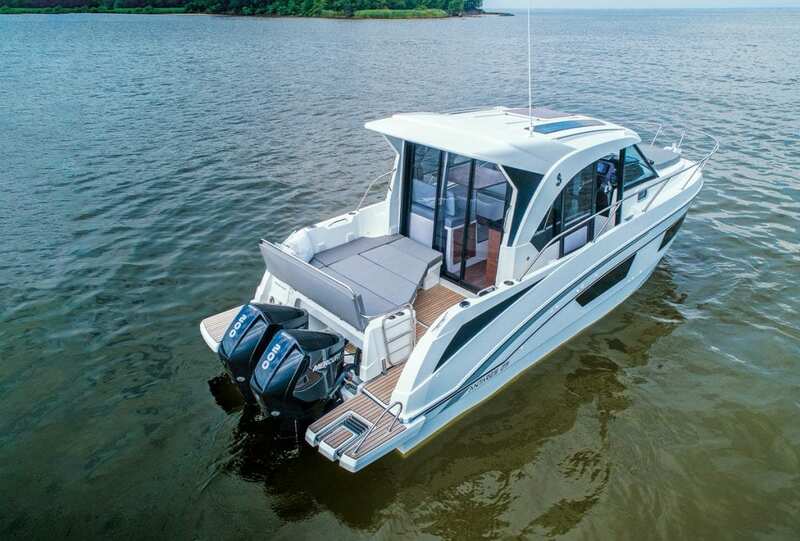 Billed as the ultimate weekend cruiser, the range includes the 21-foot, 23-foot, and 27-foot models and is a perfect introduction to short-range coastal or lake cruising. The Antares 27 is powered by twin Mercury 200-hp outboard engines and with the optional bow thruster, tight maneuvering is smooth and responsive. Bénéteau’s Airstep hull deflects waves effectively and ensures stability on the water. 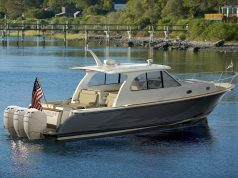 The pilothouse is bright and airy with 360-degree views, a side starboard door to make maneuvers and moving about easier for the driver, a sectional sliding door aft, and a panoramic sunroof. 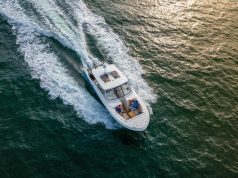 Two entirely independent cabins and a separate head with shower, a galley and a roomy aft deck provide plenty of space for family and friends.